A decision of the CAC can be appealed to the Constitutional Court in South Africa if constitutional issues or issues impacting on the public interest arise. A transaction is automatically notifiable as a merger to the competition authorities in South Africa if it falls within the definition of a merger in terms of the Competition Act and if it meets the monetary thresholds for compulsory notification. In February 2016, the Tribunal imposed the largest administrative penalty to date (10 million rand) on Life Healthcare and Joint Medical Holdings (JMH) for the implementation of a notifiable merger without approval.14 The Tribunal has, in previous cases, indicated that it takes the failure to notify a notifiable merger very seriously and intends imposing higher penalties. As is evident from the hospital groups case, the Tribunal is increasing the penalties imposed, since the previous administrative penalties imposed for this type of contravention did not exceed 1 million rand. The Tribunal can also, in terms of Section 60 of the Competition Act: order a party to the merger to sell any shares, interest or other assets it has acquired pursuant to the merger; or declare void any provision of an agreement to which the merger was subject. In the hospital groups case referred to above, the parties agreed, in anticipation of the consent agreement, to Life Healthcare divesting from JMH, and JMH acquiring nearly all of the shares in Life Healthcare by way of a share buy-back arrangement. The Draft Guidelines for Failure to Notify a Merger are aimed at presenting a general methodology that the Commission will follow in determining administrative penalties for purposes of concluding consent or settlement agreements and seeking administrative penalties in prior implementation referrals. Step 4: rounding off this amount if it exceeds the cap provided for in Section 59(2) of the Competition Act (i.e., 10 per cent of annual turnover). The Commission has recorded in the Draft Guidelines for Failure to Notify a Merger that the minimum penalty for prior implementation of an intermediate merger will be double the applicable filing fee for an intermediate merger and the maximum penalty will be 5 million rand.17 Prior implementation of a large merger will attract a minimum penalty of double the applicable filing fee for a large merger and the maximum penalty will be 20 million rand.18 The filing fees are currently 150,000 rand for an intermediate merger and 500,000 rand for a large merger. The Commission does, however, specifically note that the Draft Guidelines for Failure to Notify a Merger will not fetter the discretion of the Commission to impose the maximum penalty permitted in the Competition Act, which is 10 per cent of total annual turnover. Given the inconsistency in penalties that have been imposed over the years, the Draft Guidelines for Failure to Notify a Merger provide some welcome clarity on the approach that will be taken by the Commission in cases of this nature; however, it is not clear when the Commission will publish the final guidelines. The Commission prohibited five merger transactions in the 2016/2017 financial year which is a slight decrease from the seven merger transactions prohibited in the 2015/2016 financial year but equal to the five mergers prohibited in 2014/2015. The focus on public interest considerations has markedly increased over time. Only four public interest conditions were imposed in the 2010/2011 year, which increased to 22 and 28 in 2011/2012 and 2012/2013 respectively. There was a decrease in 2013/2014, with only 10 transactions being approved subject to public interest conditions but this number increased substantially to 39 during the 2014/2015 year. In the 2016/2017 financial year there was a significant decrease with only 15 transactions approved subject to public interest conditions. The conditions imposed were, however, onerous and demonstrates the creative remedies that can be imposed in order to protect the public interest in South Africa. As with previous years, the majority of public interest conditions were imposed in order to protect employment, for example, it is reported in the Commission's annual report that its interventions in merger transactions resulted in a net saving of 48,403 jobs.23 This was, however, mostly as a result of a merger between Parentco (Pty) Ltd and Edcon Limited in which 41,151 people stood to lose their jobs. Ultimately this merger was not implemented. In addition to public interest conditions aimed at protecting employment, other public interest conditions imposed include an obligation to subcontract at least 40 per cent of orders to previously disadvantaged black economic empowerment individuals and small, medium and micro-sized enterprises (one merger), an obligation not to relocate manufacturing facilities for a fixed period (two mergers), obligations to source locally (two mergers) and the creation of a fund to benefit small business and society (one merger). On 5 October 2017, the Tribunal approved the proposed transaction between Dimension Data Protocol BV (Dimension Data) and Hatch Investments (Mauritius) Limited (Hatch) subject to certain public interest conditions. Notwithstanding that there was a horizontal overlap in the activities of Dimension Data (through Britehouse) and Hatch (through Nihilent), the combined market share was minimal and as such, the Commission concluded that the transaction was unlikely to substantially prevent or lessen competition in the relevant markets. The Commission did, however, find that the transaction gave rise to public interest concerns. In particular, 69 of the 83 Nihilent employees in South Africa would fall within the category of jobs that are duplicated by the proposed transaction. In order to protect the employees of Nihilent and to ensure that no job losses occur as a result of the merger, the Commission imposed an employment condition that prohibits Dimension Data from retrenching any employees as a result of the merger for a period of two years. In addition to the employment concern, the Commission was also concerned that the merger would impact the transfer of skills in the IT sector. In particular, pre-merger, Nihilent offered an internship programme in IT and software testing in South Africa. The Commission was therefore concerned that if Dimension Data, through Nihilent does not continue to provide the internship programme, the merger will negatively impact the skills levels and transfer of skills in the IT sector. Accordingly, the Commission imposed a condition that requires that Nihilent continues providing internship programmes in South Africa post-merger. Lastly, the Commission raised a concern that the merger would have a negative impact on Black Economic Empowerment (BEE) as the merger would result in a loss of approximately 28 percent of BEE shareholders in Hatch post-merger. After considering certain factors, which have not been disclosed, the Commission concluded that notwithstanding the impact on the BEE, there was significant countervailing public interest justification for approving the merger and accordingly, no condition was imposed to address this concern. On 8 March 2018, the Tribunal approved, subject to extensive conditions, the large merger between SOIHL Hong Kong Holding Limited (SOIHL) and Chevron South Africa (Pty) Ltd (CSA) in terms of which SOIHL (owned by China Petroleum & Chemical Corporation (Sinopec)) sought to acquire 75 per cent of the shares and related interests in CSA. Investment in a head office: Sinopec undertakes that it will establish its head office in South Africa, to coordinate and oversee its midstream and downstream operations in South Africa. Sinopec will also use the platform provide by CSA to oversee its midstream and downstream operations in the rest of Africa. Investment in the Cape Town refinery: Sinopec undertakes to procure that CSA invests a total of six billion rand over and above any current investment plans, within a period of five years from the implementation date so as to increase the refinery's capacity, improve the refinery's safety and performance, upgrade the IT and automation systems and increase production of environmentally cleaner fuels. CSA's wholesale and retail chains: Sinopec undertakes to maintain CSA's current baseline number of independently owned petrol stations (currently 615 stations). Further, where independently owned petrol stations are to be established, CSA will give preference to small businesses, especially black-owned businesses. Sinopec also undertakes that in establishing new retailer-owned petrol stations, CSA will favour small businesses. Promote exports: Sinopec undertakes that it shall use reasonable endeavours to promote the export and sale of South African manufactured products for sale in China and in particular through the service station network operated by Sinopec in China. over a period of five years, Sinotec undertakes to increase the B-BBEE shareholding in CSA from 25 to 29 per cent and retain it at no less than 29 per cent. Funding: Within two years of the implementation date, CSA shall establish a development fund in order to support small businesses and black owned businesses that are involved in the CSA's value chain. Sinopec undertakes that it will providing funding to the development find of $15 million over a period of five years. Local procurement: Sinopec will maintain or increase CSA's current level (as a proportion) of expenditure on local procurement of goods and service. Sinopec will also ensure that CSA will not substitute current, local, South African owned suppliers with offshore suppliers of goods or services. Employment: CSA shall not retrench any employees as a result of the merger. In addition, CSA commits that, for a period of five years from the implementation date, it will maintain at least the same number of employees as are employed in aggregate by CSA as at the implementation date. The conditions relating to the public interest were largely driven through interactions with the Minister of Economic Development, the Minister of Agriculture, Forestry and Fisheries of South Africa and the Minister of the Department of Trade and Industry. A separate agreement that has been confirmed by the Tribunal has been entered into between the merging parties and those government departments. There was also trade union participation in relation to employment concerns. On 29 March 2017, the Tribunal conditionally approved the merger between the government Employees Pension Fund, represented by the Public Investment Corporation SOC Limited (GEPF) and Distell Group Limited (Distell). The transaction involved the acquisition by GEPF of SABMiller's non-controlling 26.5 per cent interest in Distell. While the transaction was not strictly speaking notifiable, since there was no change of control the notification of this transaction was made a condition to the approval of the ABInBev merger mentioned above. As there were no overlaps in the activities of the merging parties, the transaction did not result in a substantial prevention or lessening of competition. In addition, even though the Public Investment Corporation also has a shareholding in ABInBev, the shareholding is nominal at less than 0.1 per cent and as such, the cross-shareholding did not give rise to any competition concerns. However, in terms of the conditional approval of the ABInBev merger, preference for the disposal of the Distell shareholding was to be given to BEE bidders. No BEE bidders, however, submitted bids for the acquisition of the Distell shareholding. The Commission, therefore, recommended that this merger be approved subject to the condition that the GEPF on-sell a percentage of the Distell shareholding to a BEE investment entity within a reasonable time subsequent to the merger approval. The GEPF was amenable to this condition. On 10 November 2016, the Tribunal conditionally approved the merger between Clicks Retailers (Pty) Ltd (Clicks) and two target firms. The first of which is the retail pharmacy business carried on by Netcare Pharmacies 2 (Pty) Ltd within Medicross Clinics (Medicross Pharmacies) and second, being the front shops of the in-house retail pharmacies operated by Netcare Pharmacies (Pty) Ltd within Netcare Hospitals (Front-shops). As mentioned above, the Commission prohibited five mergers in its most recent financial year and seven in the previous financial year. Some examples of mergers in which the Commission prohibited or recommended prohibition of a transaction are set out below. In September 2017, the Commission prohibited a small merger whereby Netcare Hospitals (Pty) Ltd (Netcare Hospitals) acquired the Lakeview Hospital. The acquisition had taken place in December 2016 and was already implemented by the time the Commission called for a filing to be made. The Commission found that there is a horizontal overlap between the activities of the merging parties in the provision of multidisciplinary private healthcare services in the Benoni area and that the merger would result in the removal of the Lakeview Hospital as an effective competitive constraint in Benoni. In particular, the Commission conducted a tariff analysis of the Netcare and Lakeview Hospitals based on a sample of medical aid schemes to determine which hospital had higher tariffs pre-merger. The Commission found that there is a significant difference in tariffs for insured patients between Netcare and the Lakeview Hospital. The Commission's investigation found that the hospital groups, such as Netcare, negotiate tariffs to be applicable in their hospitals on a national basis and Netcare would have a uniform pricing policy across all its hospitals in the country. The Commission thus found that the tariffs at the Lakeview Hospital are likely to generally increase significantly across the various procedures assessed, once the Lakeview Hospital adopts the Netcare tariff schedule. The Commission was of the view that these price increases would be as a direct result of the merger. As such, the Commission concluded that the merger substantially lessens or prevents competition in the Benoni area and prohibited the merger. In June 2017, the Commission prohibited the proposed intermediate merger between Greif International BV (Greif) and Rheem South Africa (Pty) Ltd (Rheem). The merging parties had previously, in 2004 sought to enter into a proposed transaction. The transaction was, however, prohibited at that stage on the basis that Greif and Rheem were the only manufacturers of steel drums in KwaZulu-Natal and Gauteng. The Commission found that it was likely that the merged entity would be in a position to unilaterally increase prices. Faced with the merger in 2017, the Commission again assessed the market for the manufacture and supply of large steel drums and found that the transaction would effectively be a merger to a monopoly regardless of the geographic market considered. In addition, the Commission found that barriers to entry are high and that the proposed merger would likely result in the merged entity being in a position to unilaterally increase prices (the same theory of harm identified in 2004). Accordingly, the Commission found that the merger would result in a substantial prevention or lessening of competition in the manufacture and supply of large steel drums in KwaZulu-Natal and Gauteng and that any public interest gains resulting from this merger would not outweigh the anticompetitive effects arising from the merger. Similar to the Netcare merger, the merging parties have applied to the Tribunal for a reconsideration of the transaction. No decision has yet been made. In June 2017, the Commission also prohibited the proposed intermediate merger between Nippon Yusen Kabushiki Kaisha (NYK), Mitsui OSK Lines Ltd (MOL) and Kawasaki Kisen Kaisha Ltd (KL) (joint venture partners), which intended to merge their container liner shipping businesses to form a joint venture in that market. This was a global merger that received approval from competition authorities around the world. In considering the merger, the Commission considered the impact of the proposed transaction on the market for the provision of container liner shipping services. The Commission also considered the impact of the proposed transaction on the adjacent market of the car carriers shipping market where the joint venture partners also compete. The Commission found that the structure of the container liner shipping market is conducive to coordination based on previous collusive conduct in the container liner market in other parts of the world. The Commission stated further that the merger increases the likelihood of coordination as it creates further structural linkages in the container liner market. Furthermore, the Commission found that the proposed transaction creates a platform for coordination in the car carrier market, which has a history of collusion involving the merging parties. Accordingly, the Commission was of the view that the proposed merger is likely to increase the scope for coordination in the car carrier market. The Commission found that there were no efficiencies that outweigh the anticompetitive effects of this transaction and that there are also no remedies sufficient to address the anticompetitive effects. The transaction was therefore prohibited. The merging parties have applied to the Tribunal or a reconsideration of the transaction. The Tribunal overturned the Commission's prohibition and approved the transaction subject to conditions to address concerns pertaining to the exchange of commercially sensitive information and cross directorships in the adjacent car carrier shipping and bulk shipping businesses between the parties. In February 2018, the Commission prohibited the proposed merger between SA Airlink (Pty) Ltd (SA Airlink) and Safair Operations (Pty) Ltd (Safair) on the basis that the transaction is likely to result in a substantial prevention of competition. After investigation of the merger, the Commission is of the view that the merger is likely to result in the removal of an effective competitor to SA Airlink on the routes it currently operates on. The Commission noted that Safair offers competitive prices and has been growing in the market both in terms of its existing routes, as well as recently entering new routes. The Commission also found that the merger is likely to result in coordinated effects through the exchange of competitively sensitive information between South African Airways (SAA) and Safair (and SA Airlink) since SAA has a shareholding in SA Airlink. In this regard, the Commission found that the merger would likely result in the enhancement and facilitation of coordinated conduct. The Commission found that no remedies could sufficiently address the competition concerns identified. In light of the above, the Commission found that the merger is likely to result in a substantial prevention of competition and the Commission therefore prohibited the proposed transaction. This transaction is also before the Tribunal for reconsideration. In addition to the extensive public interest conditions imposed, a number of behavioural and structural conditions were imposed in 16 mergers in the 2016/2017 financial year. Remedies aimed at limiting the extent to which directors sit on the boards of competing companies and limiting the exchange of commercially sensitive information between competitors with common shareholders and directors were imposed in several transactions. In the merger between Southern Sun Hotel (Pty) Ltd (Southern Sun) and Hospitality Property Fund Ltd (HPF), competition concerns related to information exchange and input foreclosure was raised by third-party hotel operators. The Commission proposed conditions aimed at addressing these concerns, however, the merging parties opposed the conditions. HPF will not seek to enforce any specific term of any existing lease agreement to the extent that it requires any third-party hotel operator that currently leases or operates hotels located at properties owned by HPF, to provide it with any third-party information. This condition will not limit HPF's ability to procure information other than third-party information that is specifically relevant to the management and operations of the particular hotels that are owned by HP and that are leased to or operated by third-party hotel operators. In the merger between Media24 (Pty) Ltd (Media24) and Novus Holdings Ltd (Novus), the transaction had already been implemented by the time the competition authorities considered the transaction. The transaction has a long history with Media24 (part of the Naspers group) acquiring joint control from the Retief family in 2000. In 2014, Media24 and the Retief family entered into a further transaction in terms of which Media24 would acquire sole control over Novus (Paarl Media and Paarl Coldset at the time). This transaction was, however, abandoned. Following on from the abandoned merger, Novus announced its intention to list its shares on the Johannesburg Stock Exchange (JSE). In terms of the JSE listing requirements, Media24 and Novus had to implement an agreement (the restated management agreement) which would give Media24 sole control. Caxton, a competitor, brought an application to the Tribunal arguing that the transaction should be notified as a merger. Ultimately, on appeal, the CAC found that the transaction ought to be notified. This decision is therefore as a result of the CAC's finding that the transaction should be notified as a merger. the divested shares would be acquired by the existing shareholders of Novus that are not related to the Naspers Group. third divestiture – if the merging parties fail to conclude the second divestiture within a certain period of time from the first divestiture period,52 the trustee (a party independent of the merging parties and Akzo Nobel) shall dispose of the merging parties' 50 per cent shareholding in Arkem to an independent third party. From the above cases, it is clear that large international transactions garner significant interest by the ministers and trade unions and, where appropriate, significant creative conditions are imposed. In past years, conditions addressing employment concerns have been common, and continue to play a big role. However, in addition to maintaining employment levels, the competition authorities have now imposed far more onerous conditions on merging parties to ensure local procurement, continued promotion of historically disadvantaged individuals through equity shareholding, educational opportunities and the creation of large funds. These funds in particular have significantly increased over the years, from a 200 million rand fund in the Walmart/Massmart merger in 2012 to a 1 billion rand fund in 2016 in the AB Inbev merger. Furthermore, investment into South Africa is on the rise with Sinopec committing to 6 billion rand into the CSA refinery to inter alia increase capacity. The conditions imposed, while aimed at protecting local industry, increase the cost of investing in South Africa. In addition to the trend to impose extensive public interest conditions, the Commission is also taking a more interventionist approach by prohibiting mergers between competitors that create, or have the potential to create, high-market share accretion or a monopoly position. In the past, the Tribunal has been more willing to impose conditions aimed at addressing these concerns than to prohibit these transactions outright. It will remain to be seen what the outcome of the reconsideration applications is. This interventionist trend is likely to continue, particularly with the implementation of the Public Interest Guidelines, which clearly indicate the Commission's approach in merger transactions. Considering the current economic climate, the competition authorities are likely to focus on ensuring the protection of local industry, employment and businesses owned by historically disadvantaged individuals. In addition to extensive conditions imposed relating to public interest concerns, the conditions imposed to address competition concerns have focused to a large degree on information exchange associated with cross-directorship. Remedies aimed at limiting the extent to which directors sit on the boards of competing companies, placing an obligation to supply and limiting the exchange of commercially sensitive information between competitors with common shareholders and directors were imposed in several transactions. This approach is embodied in Section 12(2)(g) of the Competition Act, which refers to a person acquiring control when he or she 'has the ability to materially influence the policy of the firm in a manner comparable to a person who, in ordinary commercial practice, can exercise an element of control referred to in Paragraphs (a) to (f)'. On 25 November 2015, the CAC provided some useful guidance in the Media 24 decision,55 on the interpretation of Section 12(2)(g) of the Competition Act in overturning a decision of the Tribunal. Pre-merger, Media 24 and Lambert Philips Retief (Retief) jointly controlled Novus Holding Limited (Novus) by virtue of a management agreement dated 6 October 2008 (the old agreement). The proposed transaction contemplated the conclusion of a new management agreement (the new agreement) between Retief, Novus and Media 24 to be effective on the listing of Novus on the JSE Limited. The issue that the CAC had to determine was whether the joint control that Retief shared with Media 24 under the old agreement had been diminished by the provisions of the new agreement to the extent that Media 24 acquired sole control.56 In South Africa, parties are required to notify the change from joint to sole control. …the business and affairs of a company must be managed by or under the direction of its board, which has authority to exercise all of the powers and perform any of the functions of the company, except to the extent that this Act or the company's Memorandum of Incorporation provides otherwise. The memorandum of incorporation to be implemented on listing did not refer to either the new or old agreements. The CAC found that, even though the new agreement did confer certain powers on Mr Retief, those powers were still subject to the intervention and overriding powers of the board of Novus if it preferred a different course of action. Retief was therefore found to no longer have the ability to materially influence the policy of Novus in a manner contemplated in Section 12(2)(g) of the Competition Act because he could be overridden by the board of directors at any time. In the Multichoice case,60 the Tribunal on 11 February 201661 found that an agreement between Multichoice and South African Broadcasting Corporation (SABC) in terms of which SABC agreed that all channel signals in respect of SABC FTA channels, as transmitted by SABC on the SABC DTT platform, would be submitted on behalf of the SABC by Multichoice did not constitute a notifiable merger. Based on the above factors, the Tribunal was of the view that the agreement on encryption and access did not constitute control by Multichoice over SABC's business for the purpose of Section 12(2)(g) of the Competition Act. This decision was, however, taken on appeal. The CAC, in considering the evidence, found that the obligation of SABC to cooperate with Multichoice to ensure that the Minister of Communication's decision on encryption does not become a burdensome obligation on Multichoice could result in SABC losing its autonomy to decide on and adopt a policy that is consistent with its interests. There was, however, insufficient information to conclude on this issue and the CAC granted the alternative relief sought by Caxton, namely that the Commission investigate whether or not the agreement gives rise to a merger.65 It remains to be seen what the Commission's investigation will reveal. In the Tsogo Sun case,66 the question to be considered was whether the acquiring firm, being Hosken Consolidated Investments Limited (HCI), having obtained prior approval from the Commission to acquire sole control of an entity over which it exerts control, must still obtain merger approval when it crosses a bright line (i.e., when its shareholding increases to more than 50 per cent). Prior to 2014, Tsogo Sun Holdings Limited (Tsogo Sun) was jointly controlled by HCI and SABMiller plc (SABMiller). In 2014, SABMiller divested its shareholding in Tsogo Sun, which left HCI as the sole controller of Tsogo Sun. The transaction was assessed and approved unconditionally at the time on the basis of sole control even though HCI only owned 47.61 per cent of the shares. In 2017, HCI intended to increase its shareholding from 47.61 to more than 50 per cent. The Commission and the Tribunal argued that the transaction was notifiable because the proposed transaction would result in the crossing of a bright line. That is, HCI would increase its shareholding in Tsogo Sun from the current 47.61 per cent to more than 50 per cent resulting in HCI beneficially owning more than half of the issued share capital of Tsogo Sun, a form of control specified in Section 12(2)(a) of the Competition Act. Sole control is acquired if one undertaking alone can exercise decisive influence on an undertaking... determine the strategic commercial decision of the other undertaking and where one shareholder can veto strategic in an undertaking. HCI and Tsogo Sun contended that the acquisition of sole control is a 'once-off' affair and accordingly that, once they have received approval for HCI to acquire sole control over Tsogo Sun, there is no requirement for HCI to obtain any further permission to increase its shareholding in Tsogo Sun over 50 pre cent. Based on this, the CAC confirmed its finding in previous cases where it held that a change of control is a once-off affair. The CAC found that where a shareholder already has sole control by virtue of the ability to materially influence the policy of a firm for example, that firm will not need to re-notify a merger if it crosses a bright line (i.e., by acquiring more than 50 per cent of the shares for example). On the facts, the CAC found that pre-merger HCI exercised sole control over Tsogo Sun by virtue of Sections 12(2)(g) (the ability to materially influence the policy of the firm) and 12(2)(c) (the ability to appoint or veto the appointment of the majority of the directors to the board) of the Competition Act. HCI did not therefore need to obtain approval from the competition authorities to increase its shareholding to more than 50 per cent. The Commission has appealed to the Constitutional Court, the highest court in South Africa. The matter has not yet been decided by the Constitutional Court. Mergers are classified as small, intermediate or large, based on the thresholds for notification. Small mergers are not required to be notified to the Commission and may be implemented without approval unless notification is specifically requested by the Commission. The Commission has issued a Guideline on small merger notification,71 which provides that the Commission will require notification of small mergers where the merging parties are under investigation by the competition authorities in terms of Chapter 2 (the Section dealing with prohibited practices) of the Competition Act, or if the merging parties are respondents to pending proceedings referred by the Commission to the Tribunal in terms of the Chapter 2 of the Competition Act. Intermediate and large mergers require notification to the competition authorities by the merger parties and may not be implemented until approved. The 'combined figure' is the combined asset values in South Africa, or turnover values in, into or from South Africa of the acquiring firm and the target firm in their respective preceding financial years or the assets of the one and the turnover of the other, whichever combination reaches the highest figure. Importantly, both branches of the inquiry must be met. In order to assist merging parties in complying with the legislative requirements, the Commission issued a practice note: Practitioner Update Issue 6: Complete Merger Filing Requirements.74 This document sets out the documents and information, which the Commission will require merging parties to supply in a merger filing. In terms of Section 13A(2) of the Competition Act, parties to an intermediate or large merger must provide a copy of the non-confidential version of the merger filing to any registered trade union that represents a substantial number of its employees; or the employees or employee representative if there is no registered trade union. Table CCR1 of Annexure 1 to the Rules for the Conduct of Proceedings in the Competition Commission (the Commission Rules) provides that proper service of documents or notices to trade unions is only deemed to have taken place in intermediate and large merger proceedings where such notice is served to the main office (i.e., the national head office) of that trade union.76 The above procedure recently received attention in the Tribunal decision of RMB Ventures Seven and Gemelli case,77 where the merging parties had only served a non-confidential version of the merger filing on the local office and not on the head office. The Commission and the merging parties had to agree to take the matter off the roll to allow for the trade union's head office to make submissions in relation to the transaction once a copy of the merging filing had been served on it. As a result, in order to avoid delays, a copy of the non-confidential version of the merger filing should be served on both the local and head office of any trade union. The Commission has up to 60 business days to review intermediate merger filings. There is no time limit for the review of large mergers. The Commission has an initial 40-business-day period within which to review the transaction, and make a recommendation to the Tribunal. This period may, however, be extended for up to 15 business days at a time for an unlimited number of times with the agreement of the merging parties. In the event that the Commission requires an extension, and the merging parties do not consent to an extension, it must apply to the Tribunal, which almost always grants extensions to the Commission on good cause. At the conclusion of its investigation, the Commission must prepare and submit a recommendation on the merger to the Tribunal. Once the Commission makes its recommendation to the Tribunal, a pre-hearing must be scheduled within 10 business days, although this period too can be extended. The Tribunal must then hold a hearing to consider the proposed transaction. During this hearing, interested parties (for example, competitors, customers, or employees) may be granted the opportunity to make submissions and all hearings are public. The timetable for the procedures leading up to and the actual hearing of the matter by the Tribunal will be scheduled at the pre-hearing referred to above. After the hearing, the Tribunal has to decide whether to confirm or overrule the recommendation of the Commission. The Tribunal must approve, approve subject to conditions or prohibit the merger within 10 business days after the end of the hearing, and within 20 business days thereafter issue written reasons for its decision and publish a notice of its decision in the government gazette. Unfortunately, there is not much scope to accelerate the review procedure as the competition authorities are only bound by the legislated time periods. The competition authorities are, however, mindful of merging parties' need to implement transactions swiftly and accordingly, do work as fast as possible to investigate and decide upon mergers. The 2015 Service Standards contemplate the following timelines. The Commission aims to review a Phase I merger within 20 business days. These are mergers in which there is little or no overlap between the activities of the merging parties, no public interest issues and a simple control structure. The Commission aims to review a Phase II merger within 45 business days. These are mergers between direct or potential competitors, or between customers and suppliers, where the merging parties have a combined market share of more than 15 per cent, or where public interest issues arise. The Commission aims to review a Phase III intermediate merger within 60 business days and a Phase III large merger within 120 business days. Phase III mergers are likely to result in a substantial prevention or lessening of competition (including any transactions involving 'leading market participants' where the combined market share of the transacting parties is more than 30 per cent). Intervention in merger proceedings is specifically provided for in Section 18 of the Competition Act, albeit only in respect of the Minister of Economic Development83 and the Minister of Finance84 (in relation to transactions falling within the jurisdiction of the Banks Act 1990). Furthermore, Rule 37 of the Commission Rules permits participation in merger proceedings by trade unions or employee representatives. These rules have been used on a number of occasions, both by the Ministers and trade unions to intervene in merger transactions and extract some benefit, usually for the public interest. These interventions have been used with success in some of the most publicised merger cases in South Africa, namely the Walmart/Massmart merger, the SABMiller/AB Inbev merger and the SOIHL merger. present an argument at the merger hearing. Caxton's participation was limited in certain respects, and in particular to certain key issues. 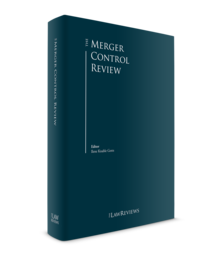 Intervention by interested parties in mergers has not been prominent over the past year, but it is likely when one considers the competition authorities increasing interventionist approach in approving transactions subject to conditions that interested parties may view merger control as a platform to raise concerns and gain support from the competition authorities to impose remedies. This has been seen most recently in the SABMiller bottling merger and the AB InBev transactions. In terms of the Competition Act it is not possible for a transaction to be considered simultaneously by both the Commission and Tribunal. A merger transaction in terms of the Competition Act can only be investigated by the Commission. If the transaction is a large merger, once the Commission has completed its investigation it will refer the merger to the Tribunal to consider and make a determination. It is, however, possible for more than one competition authority in multiple jurisdictions to consider the same transaction simultaneously. In these instances, each competition authority considers the effect that the transaction will have on its own jurisdiction. The time periods for consideration of the merger are those set out in each jurisdiction's respective competition legislation. Across Africa, the competition authorities are mindful of each other's processes and try as far as possible to work within merging parties' time frames to ensure clearance at similar times. Various competition authorities across Africa have also entered into memorandums of understanding (MOU) to govern the relationships between them in dealing with multi-jurisdictional filings. Coordination with other jurisdictions is predominantly done through MOUs entered into between regulators. In 2015, the Commission entered into its first MOU with the Namibian Competition Commission. In May 2016, the Commission signed an MOU between the competition authorities of the South African Development Community, and the MOU between the competition authorities of Brazil, Russia, India, China and South Africa (BRICS). Further MOUs have been entered into with the European Commission (22 June 2016), the Competition Authority of Kenya (6 October 2016), the Federal Antimonopoly Service (6 October 2016), the Competition Commission of Mauritius (13 October 2016) and the Administrative Council for Economic Defence of Brazil (1 December 2016). While the MOUs provide for cooperation, this is predominantly in relation to improving and strengthening the effective enforcement of competition laws. The Southern African Development Community MOU, for example (of which the Namibian Competition Commission is a party) does, however, specifically provide for the cooperation and coordinating with each other in the investigation of mergers. The Competition Act permits merging parties to raise a 'failing firm' argument as a defence to a problematic merger. The principal case dealing with the test one must satisfy in order to meet the 'failing firm' criteria in terms of Section 12 of the Competition Act is the large merger between Iscor and Saldana Steel.92 This case makes it clear that whether a firm is truly 'failing' (in the sense of about to exit the market totally) is only one factor among many that should be considered when the competition authorities decide to approve a merger or not. The Tribunal suggests that the merging parties need to show that the target firm would exit the market absent the merger, that its market share would largely accrue to the acquiring firm anyway, and that there were no other potential purchasers who would present fewer competition concerns. This is an old case (2001). Despite established South African case law and international precedent that the onus is on the merging firm to provide the evidence necessary to invoke the failing firm doctrine, the Tribunal, in the Santam case93 curiously found that it was not the merging parties who invoked the failing firm argument but rather the Commission. The merging parties therefore did not put up any evidence to support the failing firm defence. After new evidence surfaced that the target firm had an alternative bidder, the Commission changed its stance and no longer indicated that the firm was failing. As a result, the Tribunal found that the target firm had failed to meet the requirements of a failing firm. However, in a 2016 decision, the Tribunal discussed and applied the failing firm doctrine in accordance with the principles set out in the Iscor and Saldana Steel decision in the CTP case.94 In this case the Tribunal found that CDT (the target firm) met the requirements of a failing firm and as such the merger was approved with conditions. It is noteworthy that merging parties do not often rely on the failing firm defence and almost always prefer to argue that their merger is not anti-competitive, or even if it is, that it should be allowed on efficiency or public interest grounds. The fact that a firm is in financial distress can also be raised as a public interest benefit of the merger, especially in circumstances where, absent the merger, the target firm will not survive and this will have a negative impact on employment. It is possible, in extreme circumstances, for a merger transaction to receive clearance on an expedited basis, if there are compelling financial considerations. For example, in the merger between Stefannuti Stocks and Energotec,95 the transaction was approved within three days of filing the merger, because the target firm was in provisional liquidation with imminent job losses and prejudice to its customers.96 This is, of course, an unusual course of action, but given the competition authorities' focus on public interest concerns and in particular job losses, an outcome of this nature is not impossible and is in fact highly persuasive. It bears mentioning, however, that merely indicating that a company is in business rescue will not prompt such rapid clearance. The facts must be sufficient to support such a contention. The past year has demonstrated the Commission's increasing interventionist approach to merger control, both in terms of the number of mergers prohibited and also the conditions imposed in approving the transactions. The cases dealt with above show the Commission's developing jurisprudence, and their ability to impose both pragmatic and creative conditions to address concerns raised by interested parties. The ministers and trade unions have demonstrated their willingness to participate in mergers, which in their view have significant public interest concerns. The competition authorities pay careful attention to those concerns raised and work pragmatically with the parties to address the concerns. By way of example, the Department of Economic Development raised significant public interest concerns in the SOIHL merger, which resulted in extensive conditions being imposed. The creative conditions imposed in recent transactions show that the scope of interpretation of the conditions that can be imposed to address public interest concerns is continuously broadening. It remains to be seen how widely these conditions will develop in the future. The conditions that have been imposed in South Africa also have a significant impact both on the transaction costs and the timeline for approval. For example, Sinopec is, in terms of the conditions imposed, required to invest significantly into South Africa by establishing a head office in South Africa, investing 6 billion rand in CSA's refinery as well as through the creation of a fund. The Public Interest Guidelines published in June 2016 will require analysis by merging parties, and it is recommended that in transactions where public interest issues are of concern that the parties proactively assess and address these concerns to avoid unnecessary delays in the approval process and the potential for unnecessarily broad conditions. What is apparent from these years is that public interest considerations will continue to play a large role in merger proceedings, and merging parties should ensure that they are prepared for interactions with trade unions, the ministers and the competition authorities to address any concerns that may arise or risk prohibition of their transactions. In addition, on 1 December 2017, the Minister of Economic Development published the Competition Amendment Bill (the Draft Bill) for public comment. The Minister of Economic Development and the Commission have expressed concerns that the current provisions of the Act do not adequately allow the competition authorities to address issues created by the large number of highly concentrated markets in South Africa. The background note to the Draft Bill specifically mentions that strengthening the provisions related to mergers is one of the Draft Bill's five priorities. The Draft Bill provides for, among others, scrutiny of market concentration and the racially skewed spread of ownership of the South African economy and the proposed amendments seek to empower the competition authorities to create more opportunities to advance transformation of ownership of the economy. The most significant changes are aimed at addressing concerns that concentrated markets inhibit new entrants and exclude large numbers of black South Africans from the opportunity to run successful enterprises. The changes proposed will have a substantial impact on all business operating in South Africa and will increase the complexity associated with complying with the Competition Act. The proposed amendments will, if implemented, radically change the way that prohibited practices and mergers are investigated and prosecuted by the competition authorities. There has been significant public comment on the Draft Bill and it remains to be seen in what form it will be implemented. 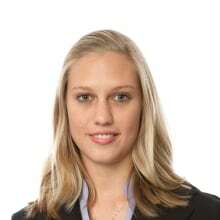 1 Candice Upfold is a senior associate at Norton Rose Fulbright South Africa Inc.
2 See Sections 21, 27 and 37 of the Competition Act. 3 Section 19 of the Competition Act. 4 Section 26 of the Competition Act. 5 Section 36 of the Competition Act. 6 Section 14 of the Competition Act. 7 Section 14A of the Competition Act. 8 Section 27(1)(c) of the Competition Act. 9 Section 16(2) of the Competition Act. 10 Section 16(1)(a) of the Competition Act. 11 Section 36(1)(a) of the Competition Act. 12 Section 37(1) of the Competition Act. 13 Section 59(2) of the Competition Act. 14 The Competition Commission and Life Healthcare Group (Proprietary) Limited and Joint Medical Holdings Limited Case No. 2010Oct5392/2012Feb5781. 15 The Competition Commission and Macsteel Service Centres SA (Pty) Ltd and Unique Ventilation & Support Systems (Pty) Ltd Case No. FTN154Nov16. 16 Published under Government Gazette Notice Number 40628 on 17 February 2017. 17 See clause 6.9 of the Draft Guidelines for Failure to Notify a Merger. 18 See clause 6.10 of the Draft Guidelines for Failure to Notify a Merger. 19 Paragraph 3.3 of the Public Interest Guidelines. 20 Government Gazette Notice No. 39 of 2016. 21 Paragraph 1.2 of the Public Interest Guidelines. 22 See the Competition Commission's annual report available at www.compcom.co.za/wp-content/uploads/2014/09/Annual-Report-2016-17.pdf. 23 See page 27 of the Competition Commission's annual report for the 2016/2017 financial year. 24 Dimension Data Protocol BV and Hatch Investments (Mauritius) Limited Case Number: LM173Sep17. 25 SOIHL Hong Kong Holding Limited and Chevron South Africa (Pty) Ltd Case No. LM050May17. 26 Anheuser-Busch InBev SAINV and SABMiller plc Case No. 2015 Dec0690/LM211Jan16 (023283). 27 Conditions to the approval of the merger (Public Version). 28 Conditions to the approval of the merger (Public Version) Paragraph 7.3. 29 Conditions to the approval of the merger (Public Version) Paragraphs 9 and 10. 30 Conditions to the approval of the merger (Public Version) Paragraph 15. 31 Conditions to the approval of the merger (Public Version) Paragraph 8. 32 Conditions to the approval of the merger (Public Version) Paragraph 11. 33 Conditions to the approval of the merger (Public Version) Paragraph 13. 34 Conditions to the approval of the merger (Public Version) Paragraph 4. 35 Conditions to the approval of the merger (Public Version) Paragraph 5. 36 Conditions to the approval of the merger (Public Version) Paragraph 6. 37 Government Employees Pension Fund Represented by the Public Investment Corporation SOC Limited and Distell Group Limited Case No. LM215Feb17. 38 Clicks Retailers (Pty) Ltd and The retail pharmacy business carried on by Netcare Pharmacies 2 (Pty) Ltd within Medicross Clinics and the front shops of the in-house retail pharmacies operated by Netcare Pharmacies (Pty) Ltd within Netcare Hospitals Case No. LM055Jul16. 39 Item 4 of the conditions attached to the Tribunal's order dated 10 November 2016. 40 Item 5 of the conditions attached to the Tribunal's order dated 10 November 2016. 41 Item 6 of the conditions attached to the Tribunal's order dated 10 November 2016. 47 Southern Sun Hotels (Pty) Ltd and Hospitality Property Fund Limited Case No. LM218Jan16. 48 Media 24 (Pty) Ltd and Novus Holdings Limited Case No. LM012Apr16. 49 Ferro South Africa (Pty) Ltd and Revertex South Africa Case No. LM261Mar16. 50 Ferro South Africa (Pty) Ltd and Revertex South Africa Case No. LM261Mar16. 51 The time period within which the condition must be fulfilled has been claimed as confidential. 52 The time period within which the condition must be fulfilled has been claimed as confidential. 53 Distillers Corporation (South Africa) Limited and Stellenbosch Farmers' Winery Group Limited/Bulmer (SA) Proprietary Limited, Seagram Africa Proprietary Limited Case No. 08/CAC/May01. 54 Distillers Corporation SA Ltd v. Stellenbosch Farmers' Winery Group Limited and Bulmers (SA) Pty Ltd and Seagram Africa Pty Ltd Case No. 08/CAC/May01. 55 Caxton and CTP Publishers and Printers and Media 24 Proprietary Limited and Others Case No. 136/CAC/March 2015. 56 Caxton and CTP Publishers and Printers and Media 24 Proprietary Limited and Others Case No. 136/CAC/March 2015 Paragraph 24. 57 Caxton and CTP Publishers and Printers and Media 24 Proprietary Limited and Others Case No. 136/CAC/March 2015 Paragraph 46. 58 Caxton and CTP Publishers and Printers and Media 24 Proprietary Limited and Others Case No. 136/CAC/March 2015 Paragraph 48. 59 Caxton and CTP Publishers and Printers and Media 24 Proprietary Limited and Others Case No. 136/CAC/March 2015 Paragraph 48. 60 Caxton and CTP Publishers and Printers and Others and Multichoice (Pty) Ltd and Others Case No. 020727. 61 The reasons were issued on 11 February 2016 but the hearing took place on 30 September 2015. 62 Caxton and CTP Publishers and Printers and Others and Multichoice (Pty) Ltd and Others Case No. 020727 Paragraph 94. 63 Caxton and CTP Publishers and Printers and Others and Multichoice (Pty) Ltd and Others Case No. 020727 Paragraph 94. 64 Caxton and CTP Publishers and Printers and Others and Multichoice (Pty) Ltd and Others Case No. 020727 Paragraph 95. 65 Caxton and CTP Publishers and Printers and Others and Multichoice (Pty) Ltd and Others Case No. 140/CAC/Mar 16 CT.
66 Hosken Consolidated Investments Limited and Tsogo Sun Holdings Limited v. the Competition Commission Case No. 154/CAC/Sept17. 67 Competition Commission and Edgars Consolidated Stores Ltd and Others Case No. 95/FN/Dec02 (24 March 2003). 68 Caxton and CTP Publishers and Printers and Others and Multichoice (Pty) Ltd and Others Case No. 020727 Paragraph 57. 69 Caxton and CTP Publishers and Printers and Others and Multichoice (Pty) Ltd and Others Case No. 020727 Paragraph 49. 70 Caxton and CTP Publishers and Printers and Others and Multichoice (Pty) Ltd and Others Case No. 140/CAC/Mar 16 CT paras 43 and 44. 72 Government gazette No. 41124 of 15 September 2017. 73 Government gazette No. 41124 of 15 September 2017. 75 Government gazette No. 41124 of 15 September 2017. 77 RMB Ventures Seven (Pty) Ltd And Gemelli (Pty) Ltd Case No. LM279Feb18. 78 Published under government gazette No. 22015 of 1 February 2001. 79 Section 14(1) of the Competition Act. 80 Section 14(2) of the Competition Act. 82 Page 5 of the 2015 Mergers & Acquisitions Service Standards. 83 See Rule 35 of the Competition Commission Rules and Rule 29 of the Competition Tribunal Rules. 84 See Rule 36 of the Competition Commission Rules and Rule 30 of the Competition Tribunal Rules. 85 Section 13B(3) of the Competition Act. 86 Published under government gazette No. 22025 of 1 February 2001. 87 Rule 46(1) of the Competition Tribunal Rules. 88 Rule 46(2) of the Competition Tribunal Rules. 89 Rule 46(3) of the Competition Tribunal Rules. 90 Caxton and CTP Publishers and Printers Limited and Media 24 (Proprietary) Limited and Others Case No. 019323. 91 Section 12A(2) of the Competition Act. 92 Iscor Limited and Saldana Steel (Pty) Ltd Case No. 67LMDec01. 93 Santam Ltd/Emerald Insurance Company Ltd and another  2 CPLR 453 (CT). 94 CTP Ltd and Compact Disc Technologies (a division of Times Media (Pty) Ltd) v. Competition Commission  1 CPLR 105 (CT). 95 Stefannuti Stocks (Pty) Ltd and Energotec (a division of First Strut) (Pty) Ltd Case No. 017590. 96 Stefannuti Stocks (Pty) Ltd and Energotec (a division of First Strut) (Pty) Ltd Case No. 017590 Paragraph 1. 97 CTP Limited and Compact Disc Technologies (a division of Times Media (Pty) Ltd) and the Competition Commission Case No. IM232Feb16. 98 CTP Limited and Compact Disc Technologies (a division of Times Media (Pty) Ltd) and the Competition Commission Case No. IM232Feb16 Paragraph 10.